Only 22 exclusive Mediterranean-Riviera style intracoastal residences were designed to provide a secure , intimate and tranquil atmosphere in the heart of Fort Lauderdale Beach. Six townhomes and 16 Condominiums. 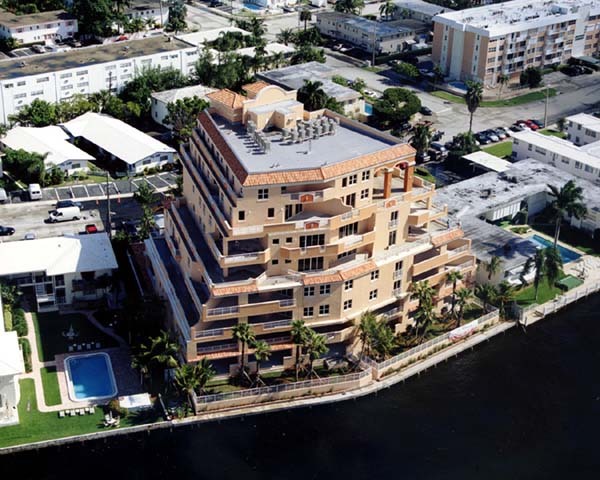 All of the residences overlook the scenic Las Olas Isles and the skyline of Downtown. Watch the endless parade of yachts from your private, spacious terraces. Boat dockage available. The elevated pool area was planned specifically for privacy and quiet moments in the lush tropical garden surrounded by the sound of the cascading waterfall. Built in computer alcoves, plus a loft. Interior features include 9 foot ceilings, whirlpool tubs and custom wood cabinetry.